It's Jen (Tiny House Town's admin). 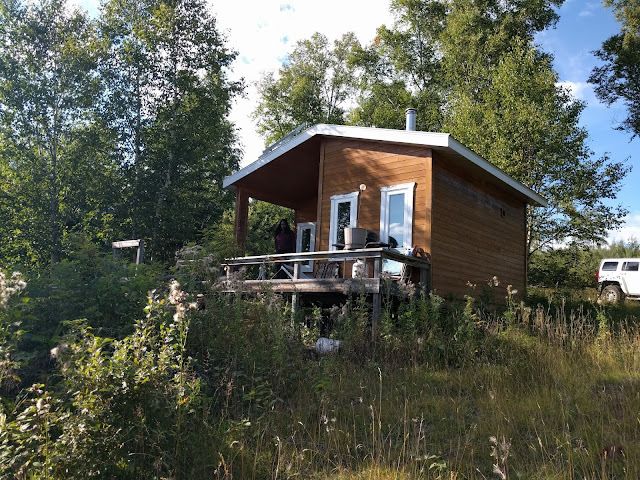 I'm currently on vacation in Thunder Bay, Ontario, and saw this cute cabin I thought I'd share. 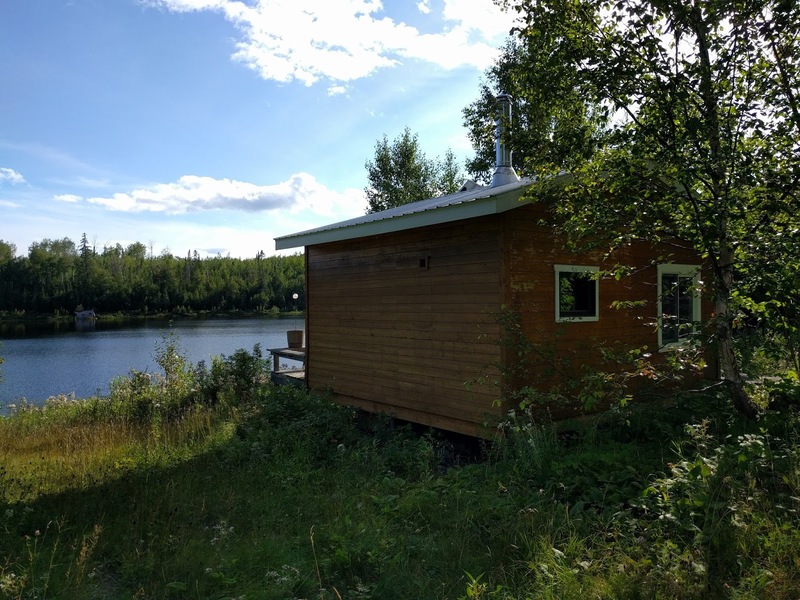 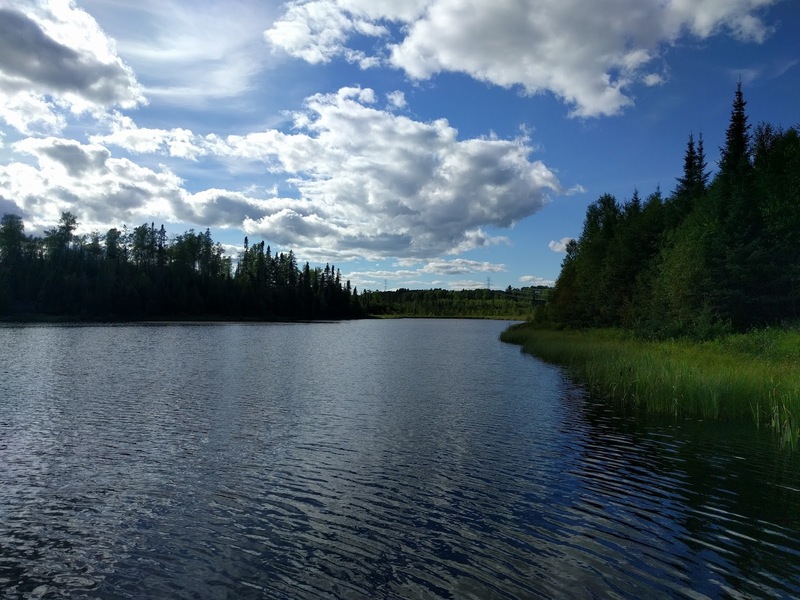 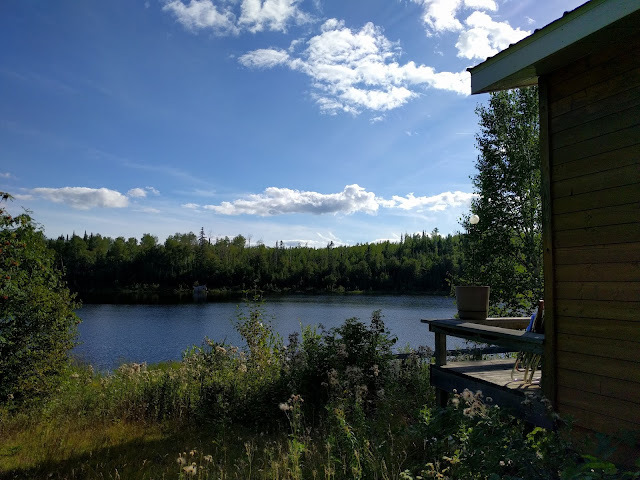 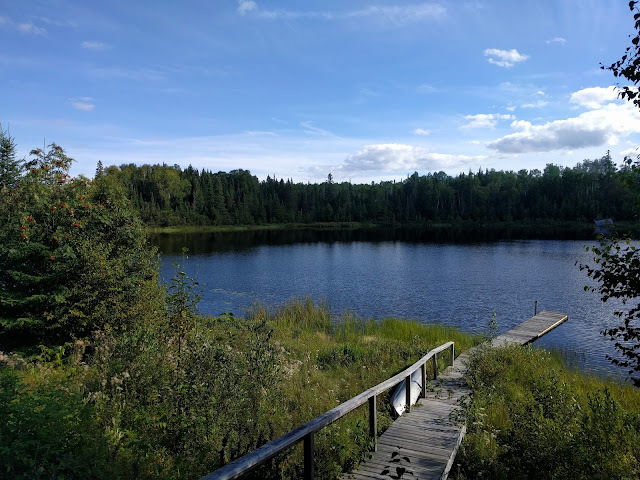 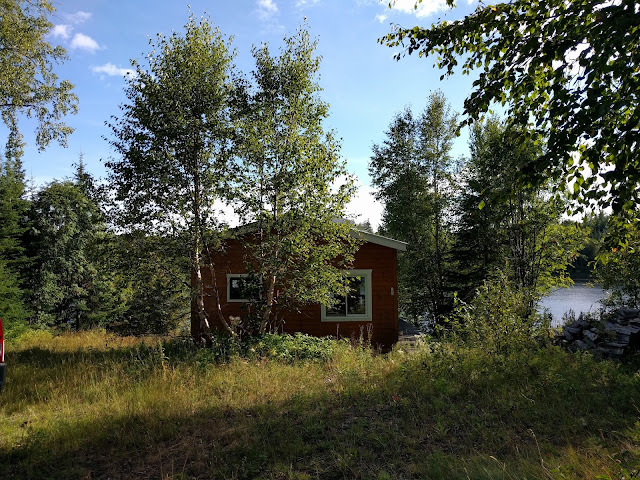 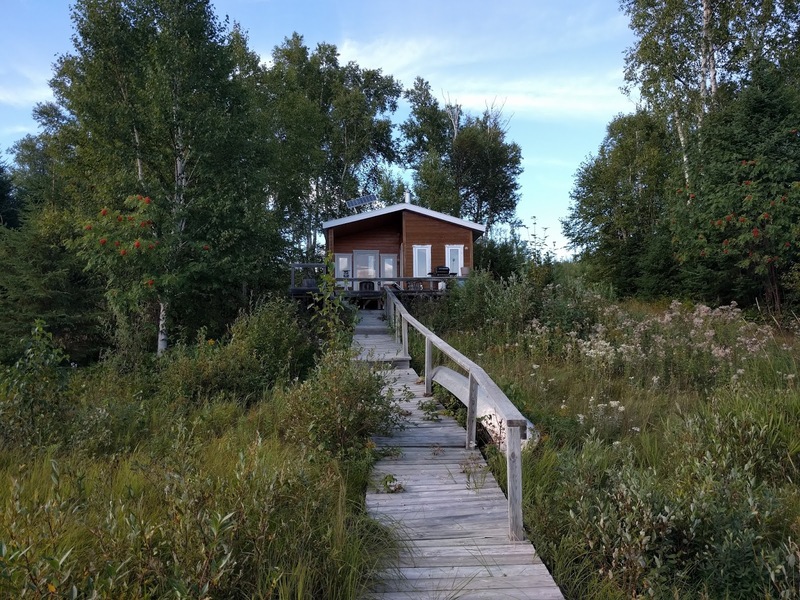 It measures about 250 sq ft, totally off-grid, and sits on 160 acres with a private lake on the property. 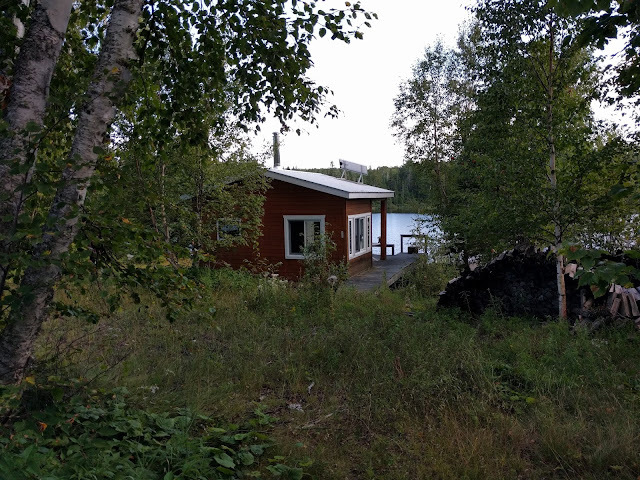 I didn't get to see inside but my uncle, who's a longtime friend of the home's owner, tells me there's two bedrooms, a kitchen and a sauna inside. 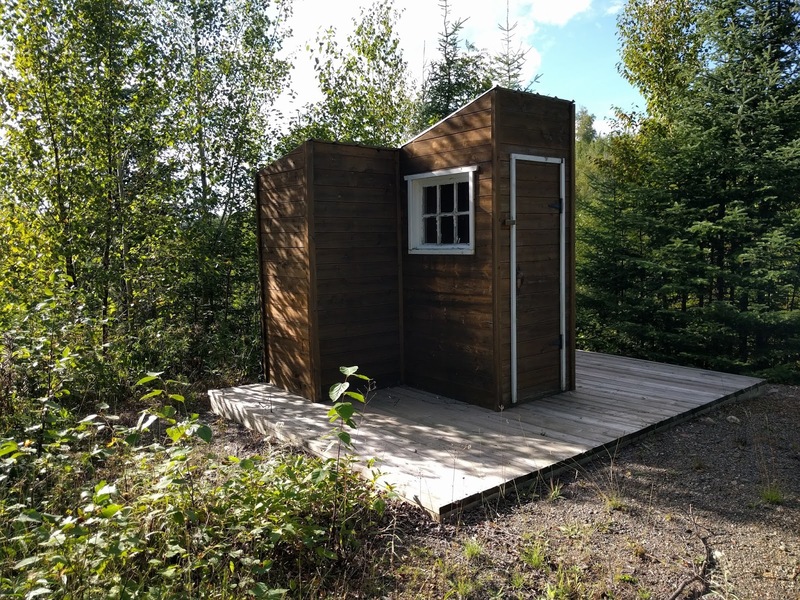 There's an also an outhouse a little ways from the home, and a solar panel to provide electricity.